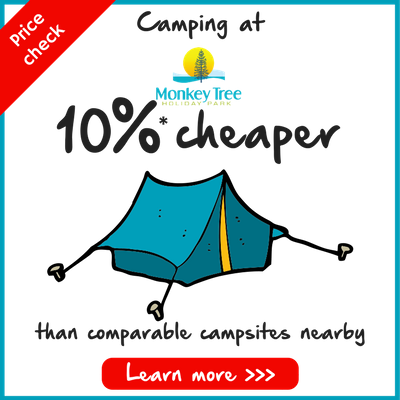 Monkey Tree Holiday Park near Newquay, Cornwall is the perfect place to take your touring caravan holiday. 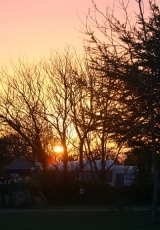 Set in 56 acres of beautiful Cornish countryside and located in a central location between Newquay and Perranporth, Monkey Tree Holiday Park provides easy access to Cornwall’s sights and attractions making it the perfect base for exploring. We offer a variety of pitches from standard non electric to ‘Ultra Deluxe Pitches’ which are larger pitches boasting their very own private shower room facilities, undercover dining together with a BBQ and washing up area. Prices are per person per night and need to be added to your choice of pitch and any other extras which are all detailed below. Please click to read our terms and conditions relating to dogs at the Park. If you would prefer to stay in a certain field you can put in a field request when you book, paying an extra £1.50 per night. Unfortunately we can not guarantee pitch requests. However, if you are holidaying with friends and would like adjoining pitches you can request this at time of booking for just £1 extra per night. There is a minimum stay of 3 nights on pre-booked pitches between 8th July and 3rd September, this also applies to Whitsun. Bookings are confirmed when a deposit is taken and the balance is due 8 weeks prior to your arrival date. Find out more about our Payment Plans. Great value seasonal pitches available.